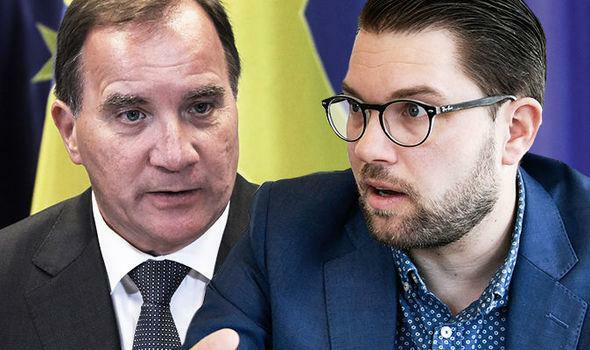 We noted earlier that Swedish politicians were quick to react with anti-immigrant party 'Sweden Democrats' seeing a surge in the polls ahead of the September 9th election. Sweden, a historically largely homogeneous population of 10 million, took in an astounding 600,000 refugees over the past five years, and after Swedes across various cities looked out their windows Tuesday to see cars exploding, smoke filling the skies, and possibly armed masked men hurling explosives around busy parking lots, it appears they've had enough. 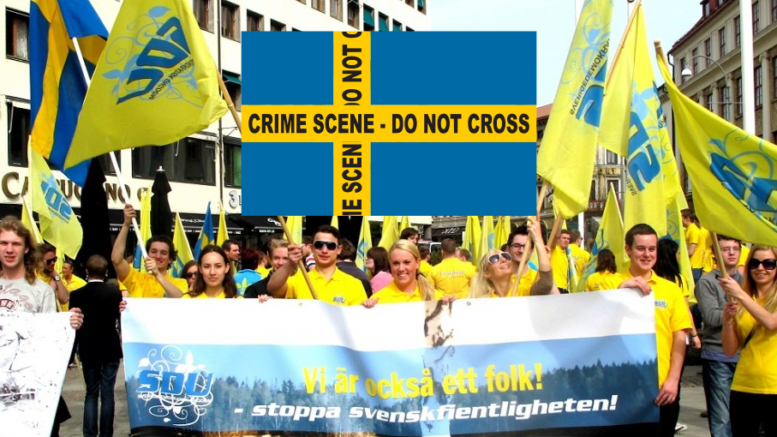 Over the past years of their rise as a political force in Swedish politics, the country's media have routinely labelled the Sweden Democrats as "racists" and "Nazis" due to their seemingly single issue focus of anti-immigration and strong Euroscepticism. A poll at the start of this week indicated the Sweden Democrats slid back to third place after topping three previous polls as the September election nears; however, Tuesday's national crisis and what could legitimately be dubbed a serious domestic terror threat is likely to boost their popularity. The group's popularity began surging after the 2015 immigration crisis began, which first hit Europe's southern Mediterranean shores and quickly moved northward as shocking wave after wave of migrants came. Akesson emphasizes something akin to a "Sweden-first" platform which European media often compares to Trump's "America First"; and the party has long been accused of preaching forced assimilation into Swedish culture to be become a citizen. No doubt, the media and Eurocrats in Brussels will take simple, innocent statements from elderly retirees like "bring back the old Sweden" as nothing short of declaration of a race war, but such views will only solidify after this week. Sweden's two biggest parties, the Social Democrats and Moderates, are now feeling the pressure as Swedes increasingly worry about key issues preached by Akesson like immigration, law and order, and health care - seen as under threat by a mass influx of immigrants that the system can't handle. With many Swedes now saying immigration has “gone too far” and as this week's events have once again thrust the issue before both a national and global audience, the next round of polling will mostly like put Sweden's conservative-right movements on top.